Shrimp was on sale last week and I wanted to create a fun recipe since I don’t have very many seafood dishes on my blog. 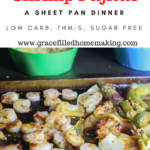 I wanted something a little lighter than a creamy pasta dish, so I thought shrimp fajitas would be a great idea! 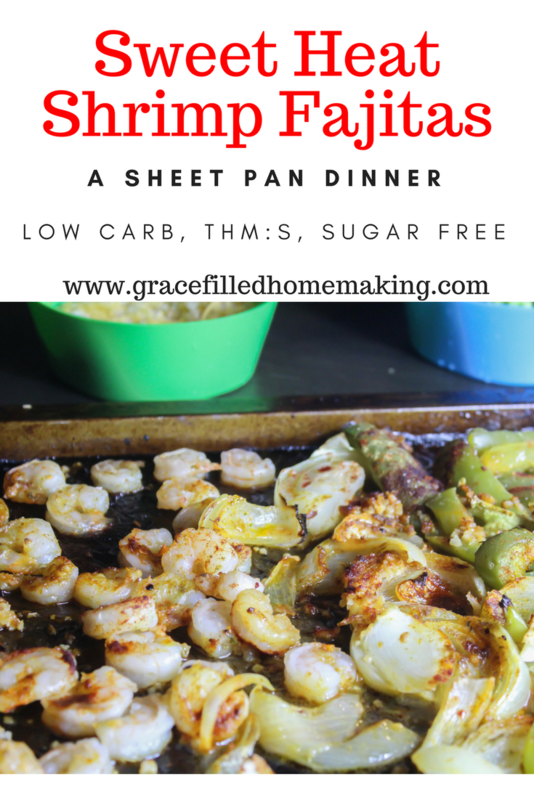 This is a sheet pan supper, which is one of my favorite things. 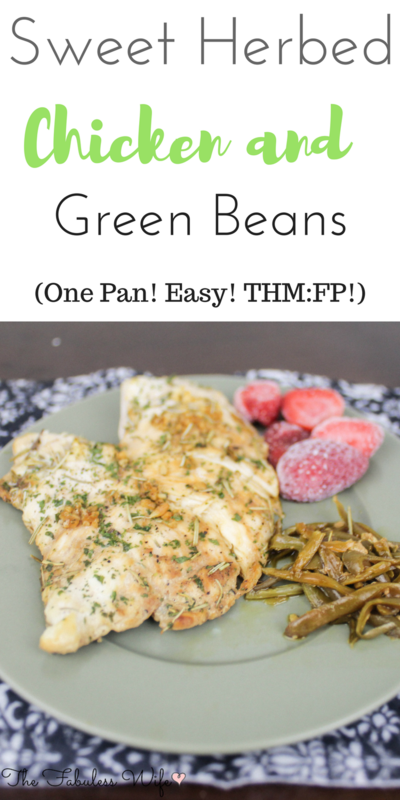 It’s easy to throw together, which makes eating healthier a breeze. These fajitas use the same seasoning blend that I use in my Sweet Heat Chicken Legs. It tastes just like it sounds! Slightly spicy with a slightly sweet smokey flavor. 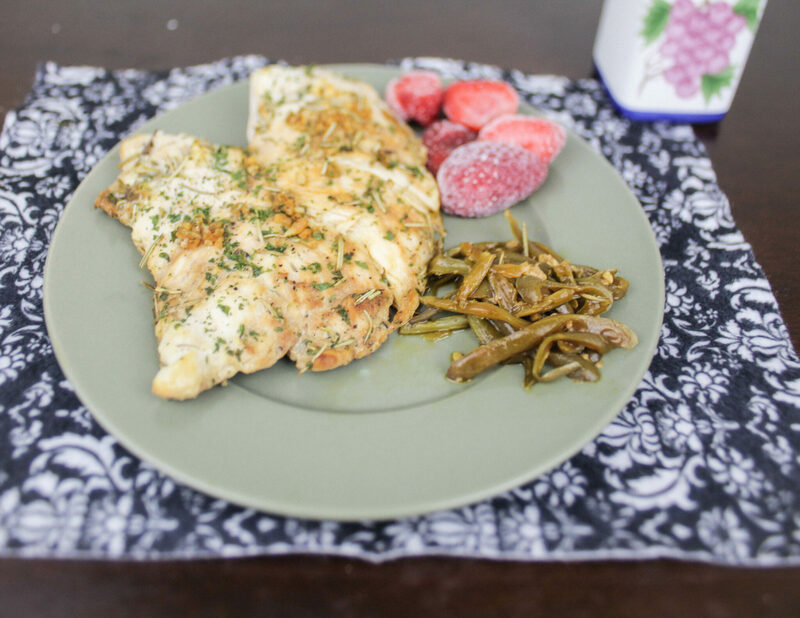 When you add some melted butter to the equation, this meal tastes like something you’d find at your favorite restaurant. The peppers and onions get caramelized and golden, making the veggie portion taste just as good as the seafood! This recipe serves 6-8 people. We like to eat ours on low-carb tortillas, but this mixture tastes divine over some lettuce too. 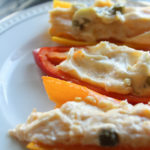 I used regular old green bell peppers because that’s what I had on hand, but any color of peppers would taste pretty (and probably look a lot more colorful!). I’ve also sliced and de-seeded some fresh jalapenos and put them on the sheet to roast with great results! This recipe is tame enough for little ones, so if you want a little extra heat, feel free to add some additional cayenne to your portion. Pre-heat the oven to 400 degrees. 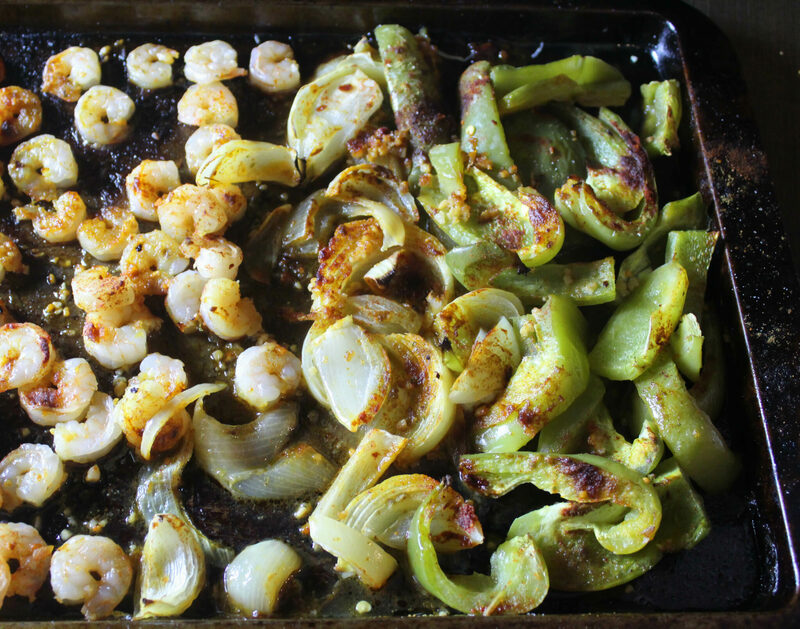 Place the shrimp, onions, and peppers on a large sheet pan. Melt the butter and mix together with the liquid smoke. Pour over veggie and seafood mixture. In a separate bowl, mix together the sweetener and spices. Sprinkle evenly over the veggies and seafood, place pan in the oven and bake for 20 minutes. Enjoy! This chicken bake is creamy and full of flavor. It has mushrooms, bacon, and swiss cheese, along with a secret ingredient that gives it a bit of smokehouse flair. 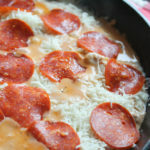 It’s also very easy to make, literally just throwing a few ingredients in a pan and baking it. This dish pairs nicely with a tossed salad and some roasted broccoli. Preheat oven to 425 degrees. 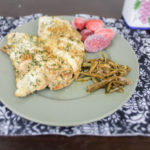 Place chicken breasts in a 9x13 inch pan. Cut the cream cheese into little chunks and place evenly around the chicken. Drain mushrooms and place on top of chicken. Lay the pre-cooked bacon on top. Sprinkle with a pinch of salt, a pinch of pepper and a dash of liquid smoke. 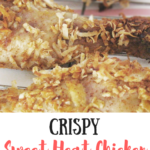 Bake the chicken for 30 minutes, take out and top with cheese. Bake for 10 more minutes of until the cheese is melty. Let cool and enjoy! 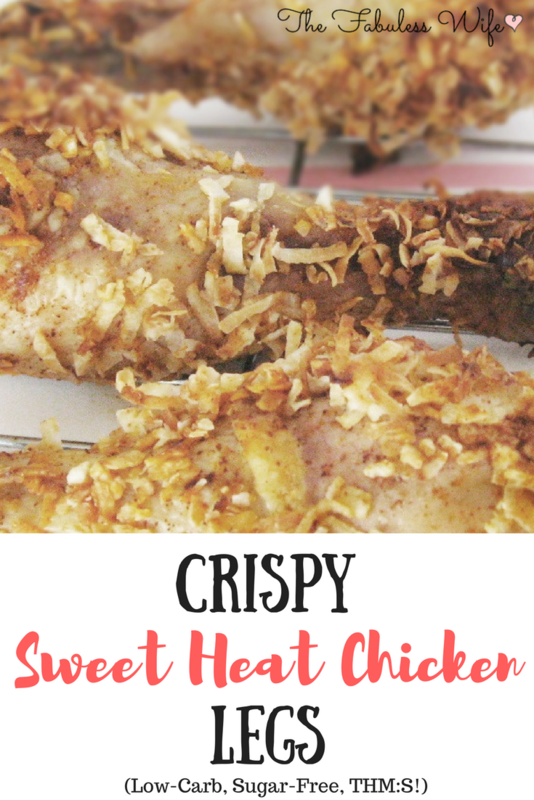 My Crispy Sweet Heat Chicken Legs are such a fun, simple meal. Drumsticks are so cheap these days (I got 5 lbs for under $4!) that this is totally budget-friendly. My husband doesn’t like coconut, so I omitted that for his happiness and he thought the coating was great on its own. The egg gave the chicken skin so much crispness and it made it turn a pretty golden color. We had this with a salad and mashed cauliflower. This meal is frugal, yet tastes gourmet. If you don’t have chicken legs on hand, feel free to sub chicken breasts! Whisk together the egg, liquid smoke, molasses, gentle sweet, salt, and spices. 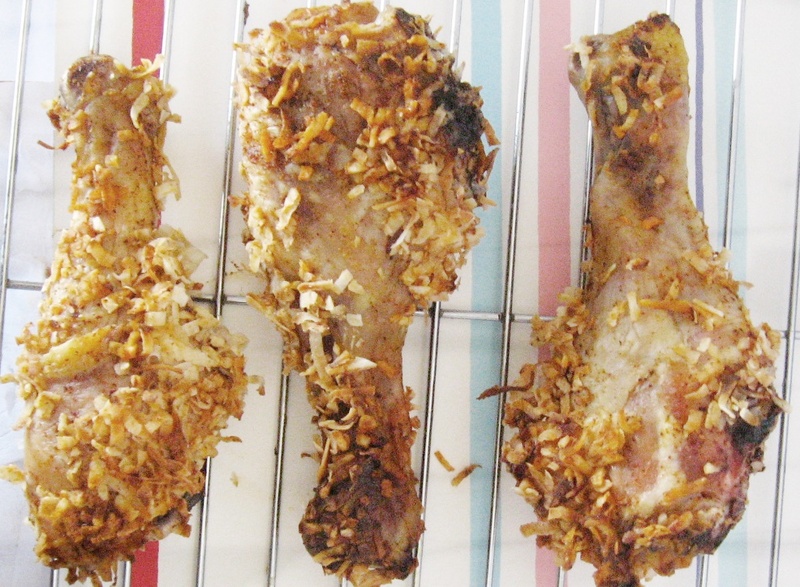 Coat your chicken legs thoroughly in the egg mixture then roll it in the coconut flakes. I had to sprinkle additional coconut on top. Bake at 400 degrees for 30 minutes or until juices run clear when poked.